New plant varieties are always exciting to the gardener or landscaper, as we search for just the right accent plant or component for the border. An understanding of some of the new varieties, what the breeders are aiming for, how the new plants have application in our own home gardens, and what to think about the endless parade of new plants will be covered on the upcoming #Plantchat. Find out more about new plant varieties for 2015! This Twitter chat is a way to unravel some of the finer points with Proven Winners Stacey Hirvala and the voice of Corona Tools, Chris Sabbarese. 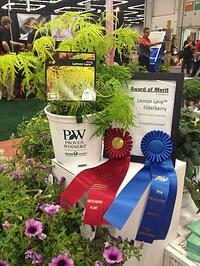 The most active tweeter will win* a new Proven Winners ColorChoice Shrub! (Limited to the U.S. only). *If the most active tweeter resides in another country, Proven Winners will send a Plant Geek t-shirt. This week on #Plantchat ask questions or share favorite stories about new plants of 2015 with the team at Proven Winners! Join @CoronaTools and #plantchat co-partner, Stacey Hirvala representing Proven Winners @Proven_Winners on this week's topic, New Plants for 2015. 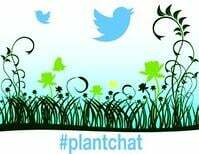 The live chat begins Monday, May 4, 2015 at 11 a.m. PST / 2 p.m. EST, were we come together with green industry experts and fellow horticultural tweeps each week to discuss all things related to plants and horticulture, since 2014. What makes new varieties special and different? What new varieties are you excited about?